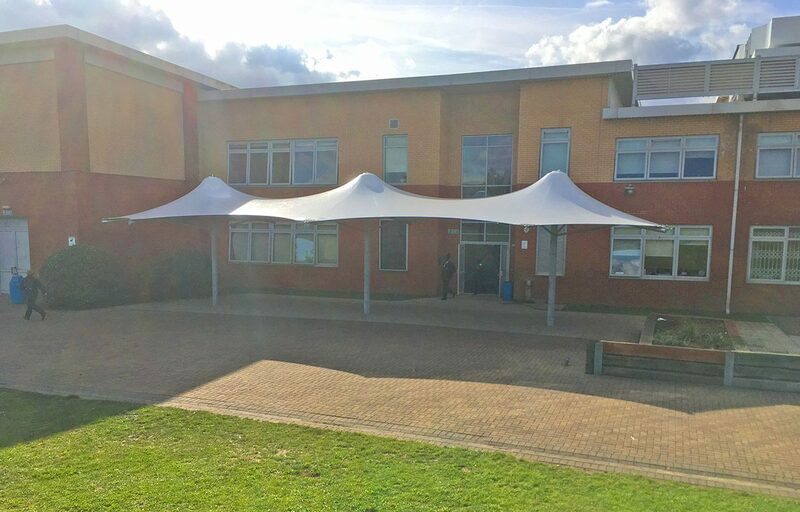 Fordingbridge were initially approached by Cumberland School to provide outside shelter at various locations within the school grounds. 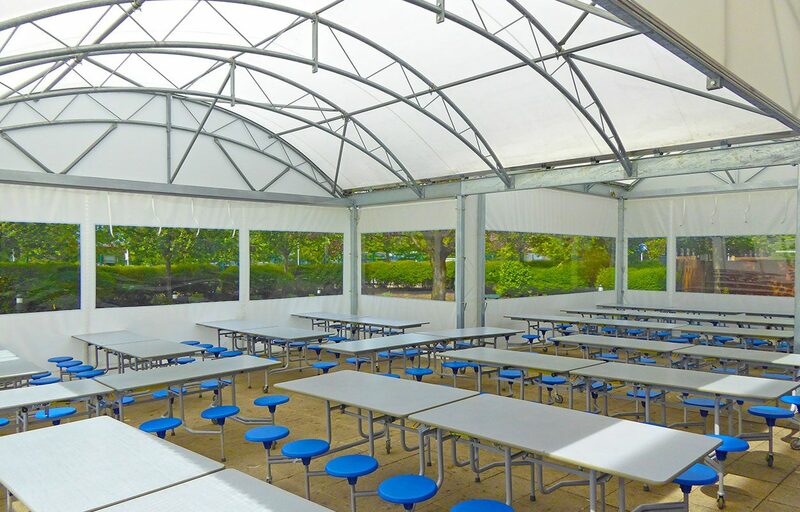 The school had a requirement to increase their dining provision as lunch times were becoming crowded in the dining hall. 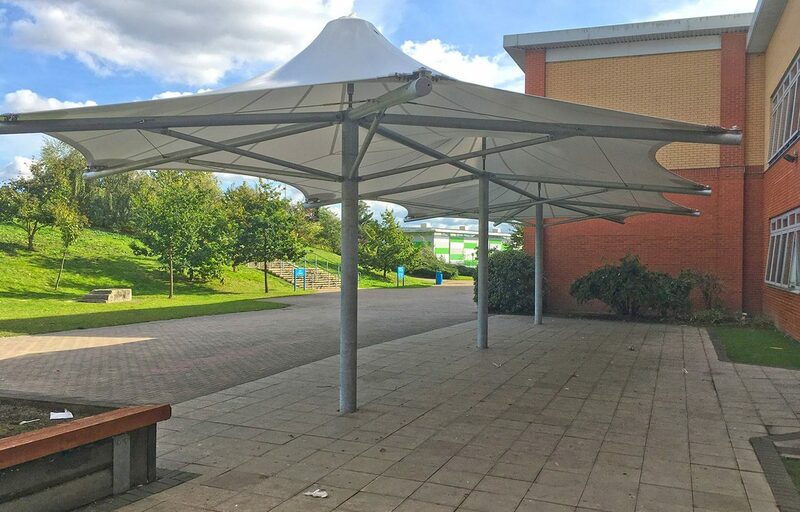 This was achieved by adjoining two taper trellis structures to maximise the number of covers at lunch time. 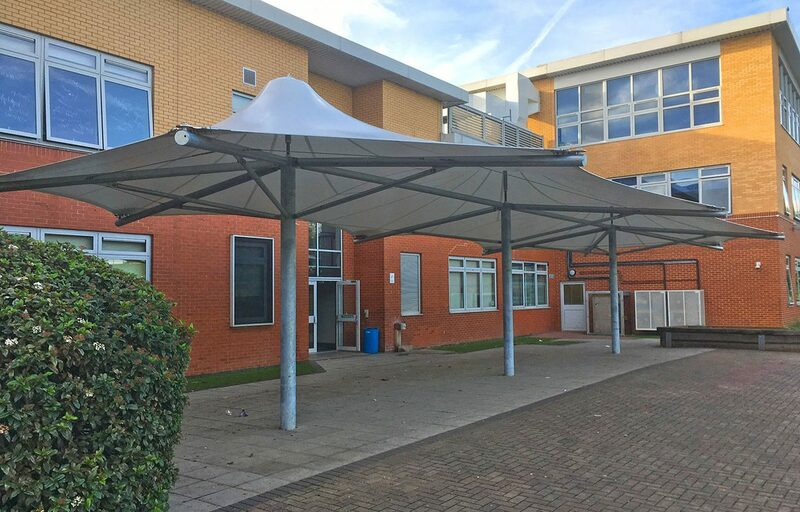 As part of the design, Fordingbridge incorporated removable side screens to allow the structure to be partially enclosed. 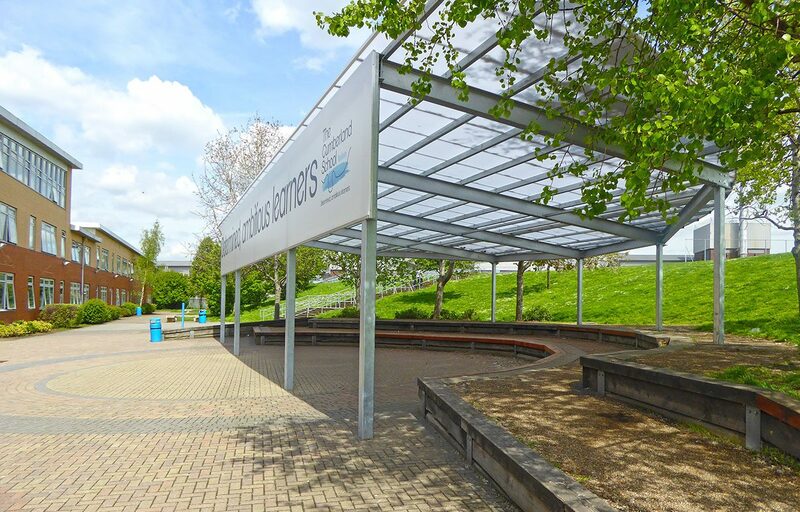 Another requirement was an outdoor breakout space for pupils and staff to use as an outdoor classroom. 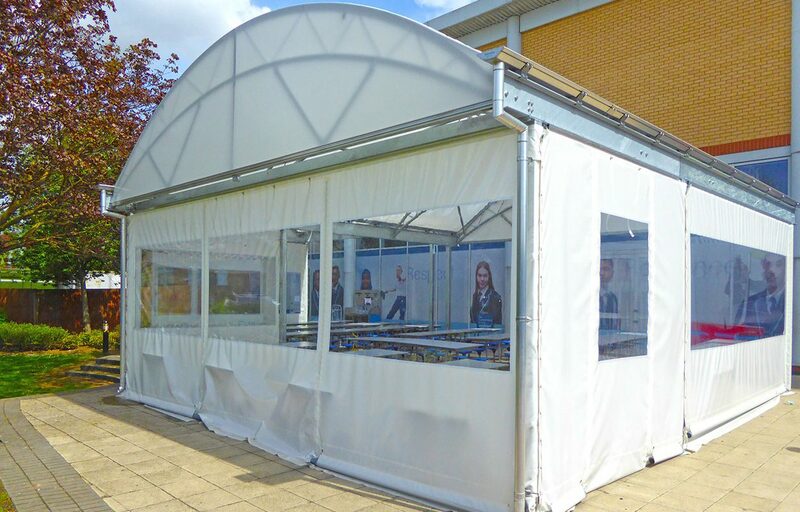 For the location, a triple conic structure from our standard range was specified by Fordingbridge. The amphitheatre required more of a bespoke design due to its unusual dimensions. 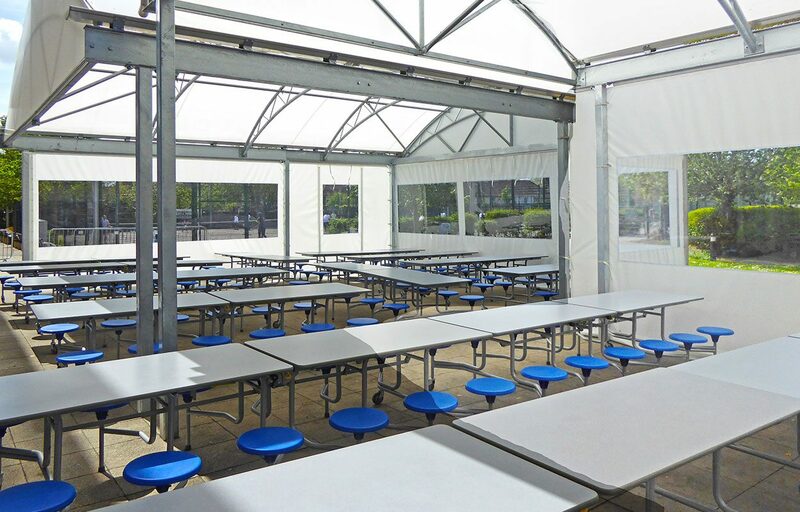 Situated centrally in the school, the space was under-utilised due to lack of shelter. 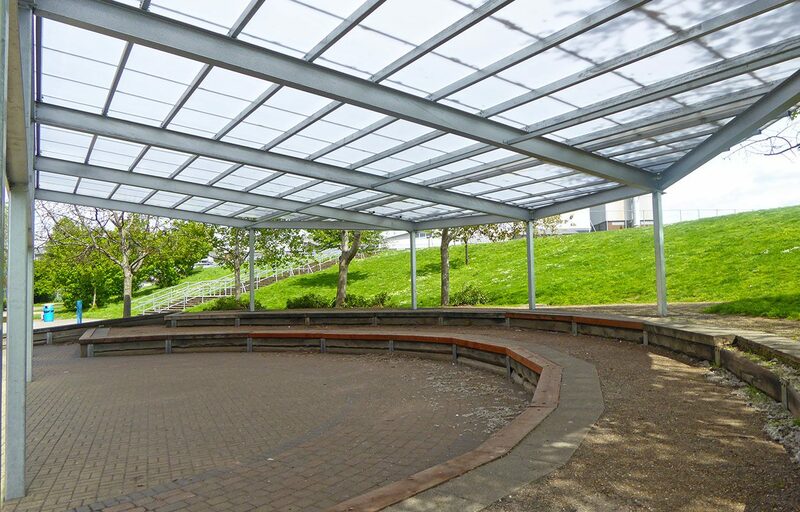 Our semi-circular structure was specifically designed to get the best use out of the seating at the amphitheatre creating a usable space. 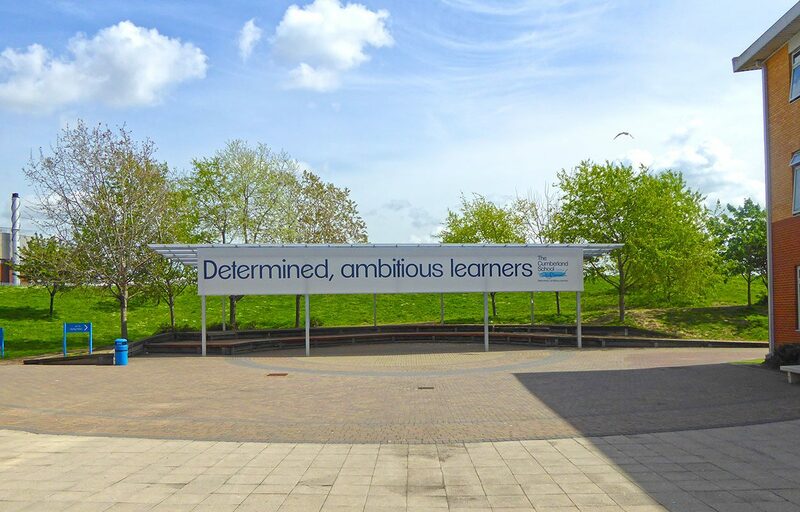 As part of the design, the school chose to include their core values and logo as part of the structure. Fordingbridge were able to fulfil this branding as part of the package. 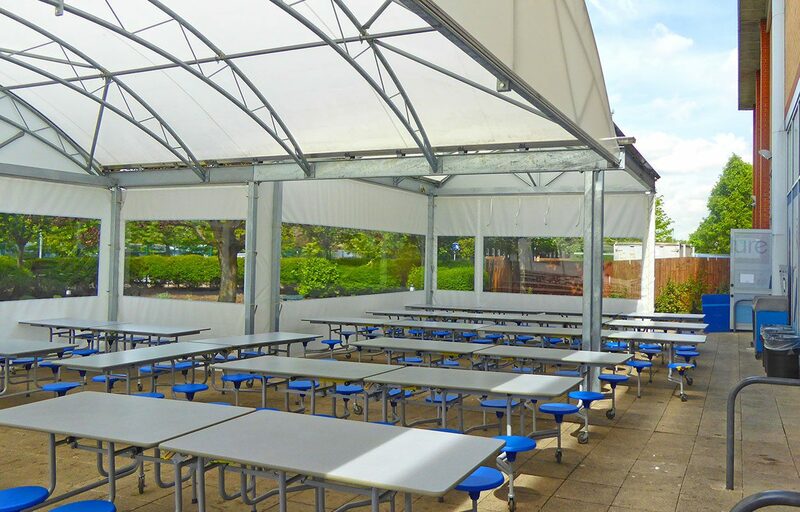 Fordingbridge delivered a turnkey solution. 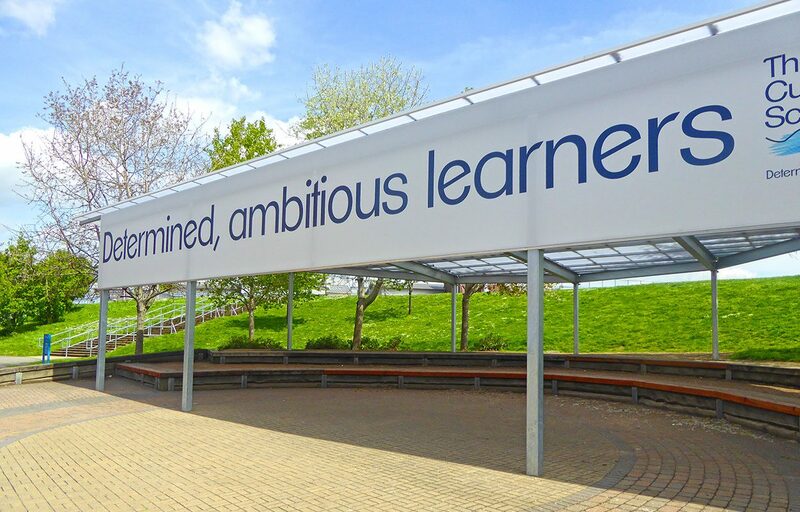 Starting from design and manufacturing to groundworks and installation, during a school holiday period.